Attainment of a Just Society through Advancing Good Governance, Human Rights & Democratic Ideals. Founded in 1994, the lecture series is dedicated to honouring one of Nigeria and Africa’s most outstanding and enduring literary icons: Professor Wole Soyinka (Nobel Laureate). The Lecture Series, which is a conception of National Association of Seadogs (Pyrates Confraternity), is an annual event and holds in the month of July (the birth month of Professor Soyinka). It is aimed at promoting good governance, social justice and the advancement of democratic ideals in Nigeria and beyond. Since its inception, lectures have been held in three continents around the world (Africa, Europe and North America). The institutionalization of an annual public lecture in honor of Professor Wole Soyinka, first African Nobel Laureate for Literature is significant. Wole Soyinka, one of the initiators of the idea of Pyratism, and unarguably the most visible Pyrate since the confraternity’s inception, could be described as the icon of that particular idea and the radical actions that have consistently concretized its essence. Wole Soyinka, the Pyrate’s Pyrate, thinks pyratism, yaps pyratism, lives pyratism, and acts pyratism. One of the greatest gestures, then, that can codify the organization’s show of gratitude for having been a worthy iconoclastic figure is a lecture of this nature. Soyinka himself, it must be noted, is a notable polemicist. The Wole Soyinka Lecture Series, since 1994, has been complemented by many other annual lectures such as the Ralph Opara Lecture Series – christened after another of the seven founders of the confraternity – the Umalokun Lecture Series, as well as tens of polemical gatherings organized by our branches, spread across states and continents, during the traditional yearly Feast of Baracuda (FOB). While the Wole Soyinka Annual Lecture Series is symptomatic of the intellectual bent of the organization, it is equally indicative of the charismatic leadership that Soyinka has provided for years. Having a role model like the Nobel Laureate, with his peculiar sense of humanistic involvement, is a unique opportunity for members of the confraternity. Organization of fora where solutions and answers are proffered to critical problems facing the humanity of our age, using a global figure as a rallying point, speaks loudly of the direction of the group’s community causes and the adoption of a multi-tactical approach to the realization of our dreams for the world. As voluntary agents of global change, the issues addressed by the lectures are globally relevant to the sustenance of man and the continuity of his world. They depict the revolutionary fervour in us as individual and collective stakeholders in both local and international communities. The themes and subject matters are iconic indexes of the rhetorics of revolutionary change and principally constitute the pyratical ideology of Wole Soyinka, on whose birthday occasions they were delivered. The only thing to add, at this point, as the reader goes through the pages of this book is to reiterate the need for him or her to join the like minds, whose opinions have been expressed herein, in re-shaping humanity – our common heritage. Our global humanity traverses the boundaries of race, colour, language, continent, and development. To change the globe into a space of freedom for all, thereby fashioning a new humanity is the ultimate quest of the Pyrate. The globe is the constituency of Seadogs in their pursuit of this supreme quest. As a non-profit organisation, NAS is given and have retained publishing rights to the papers presented and papers gotten out of transcribed speeches given at Wole Soyinka Lecture Series, and the speakers have their consented to the use of the papers either oline or to published in book form by National Association of Seadogs and its subsidiary NASCOM publications, and use the proceeds generated to support the Lecture and other charitable and advocacy initiatives of NAS. National Association of Seadogs (NAS) retains the publishing rights to the papers (and transcribed speeches) presented at the Wole Soyinka Lecture Series. This is because the speakers have consented to the use of the papers either online or to publish in book form by NAS publishing arm, NASCOM publications, and that the proceeds should be used in full to support the Lecture and other charitable and advocacy initiatives of NAS. 1. Speaker (hereinafter referred to as Owner of Intellectual Property and Works), hereby authorizes the Registered Trustees of the National Association of Seadogs Pyrates Confraternity (hereinafter referred to as the Association), to use his/her paper presented at the Wole Soyinka Lecture Series either online or to published in book form on the Wole Soyinka Lecture Series. 2. Owner of Intellectual Property and Works agrees that the lecture paper and or publications so published in the aforesaid Book Publication on Wole Soyinka Lecture Series shall be his/her contribution towards the Book Publication and to support the Lecture and other charitable and advocacy initiatives of NAS. 3. Owner of Intellectual Property and Works shall not be entitled to any form of remuneration, payment or claims for the use of his/her publications or works either now or in the future. Professor Wole Soyinka is the grand patron of National Association of Seadogs (Pyrates Confraternity). He is one of the seven under graduates who founded the Pyrates Confraternity in 1952 at the then University College, Ibadan; the first university in Nigeria. 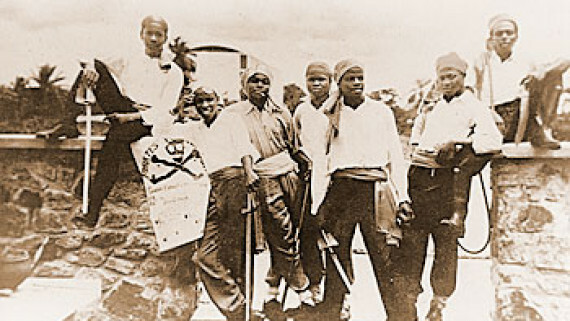 At the time the Pyrates Confraternity was formed in 1952 (some say 1953), the University of Ibadan (then called University College) was the principal institution of higher learning in Nigeria. Correspondingly, it was a near exclusive preserve of children from wealthy backgrounds. 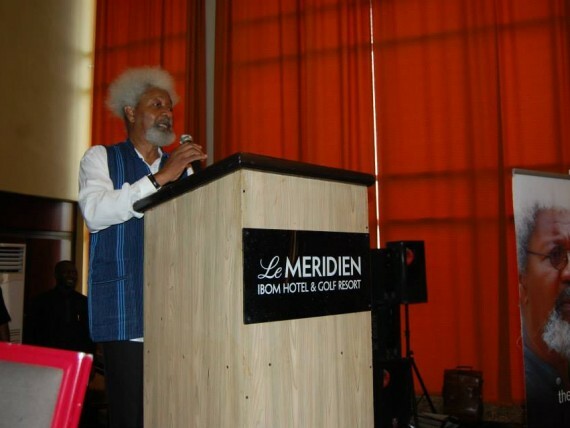 Professor Wole Soyinka speaking at the 16th Lecture at Le Meridien Ibom Hotel & Golf Resort, Uyo, Akwa Ibom State on 12th July 2013. 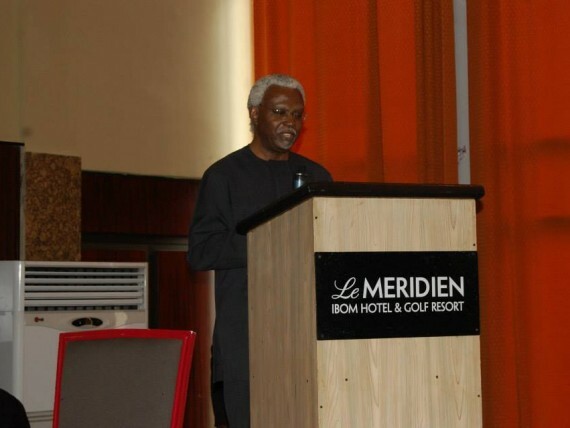 Chairman Independent Corrupt Practices Commission ICPC, Hon. Ekpo Nta delivering the 16th Lecture on 12th July 2013.